Still Dreaming of a Black Room. 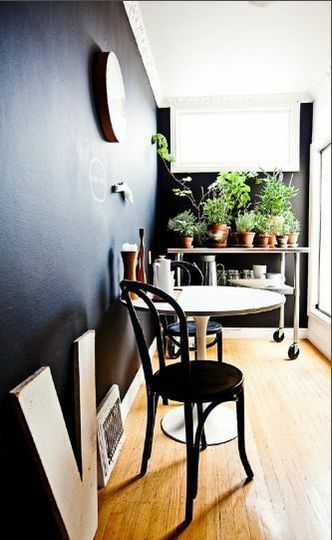 A while ago I posted some pictures of chalkboard paint and black walls. Well my obsession with black walls just seems to grow in leaps and bounds. I am seriously on the verge of painting the office room black. What’s holding me back? I have always loved color and black is sort of the absence of any color so it is a huge mental hurdle for me to overcome. I feel that my black room may seem depressing, dark and dull. However, all the black rooms I’ve seen online are rich and decadent. 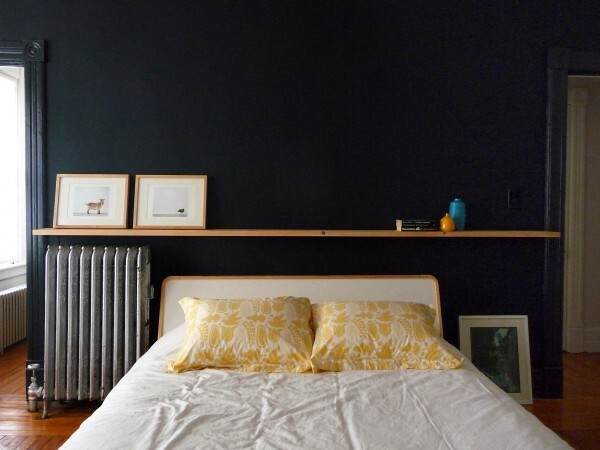 Here are some of the fabulous black rooms that are really pushing me towards actually buying the paint and painting the room black! Jenna Lyons’ Bedroom via Living Etc. I think that sometime in late January I will tackle the office room. I need to, spackle, fill in all nail holes, prime the walls, paint and then rip out the carpets. 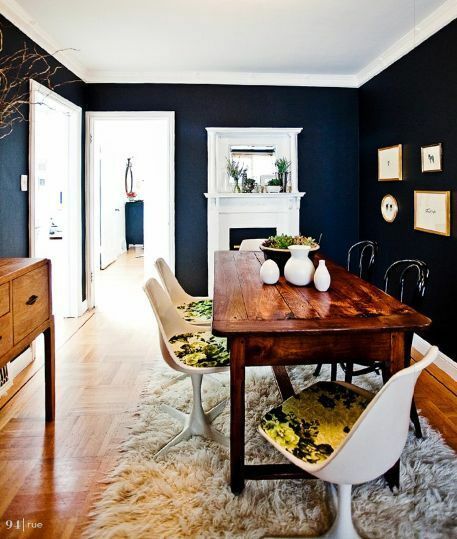 I’ve already picked out the perfect black from Benjamin Moore. Also, I’ve decided to paint everything black, the walls, molding, doors and shelves. I am not sure whether the floors under the carpet can be refinished. I am hoping that they are in perfect condition like those we found throughout the house. I hate carpets and I hate carpeting from prior owners even more.